At Little Dipper, you enjoy the best of all worlds: walking distance to downtown restaurants/shops (0.5 miles), the Westmoor Club (0.6 miles) and the beach (0.8 miles) as well as a peaceful, private location situated on over 1.25 acres. 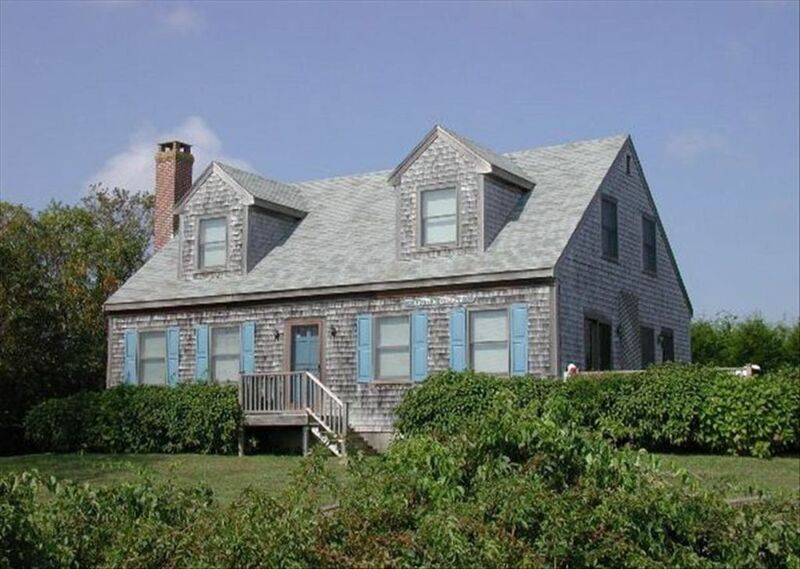 Little Dipper features 4 bedrooms/ 2.5 bathrooms and can accommodate up to eight people. First Floor: 1st guest bedroom with queen bed. Second Floor: Master bedroom with king bed. Second Floor: 2nd guest bedroom with two twin beds. Second Floor: 3rd guest bedroom with two twin beds. Guests at Little Dipper are left to enjoy the property in private and at their leisure. In the event of needed repairs, there is a property manager on call (his cell will be provided in the welcome binder at the property). For general questions while staying at the property, guests are welcome to contact the host or if a more immediate replay is required, an on island contact will be provided. For any questions prior to arrival or after departure, guests are welcome to contact the host directly. Please note that for stays occurring July 1, 2019 or later, the new local occupancy taxes of 11.7% will be added on. Off-street parking for up to 3 cars. Towels for indoor bathing as well as towels for the beach provided. Various DVDs for adults and children. Lawn in front and back of house. Outdoor dining table with umbrella and seating. There is no air conditioning but there are tower fans provided in all bedrooms, dining and living rooms. 2 iPod speaker systems and 1 Bluetooth speaker. No landline in house, guests will need to use their cell phones. Enjoyed our stay on Nantucket. Loved that the cottage is walking distance to town restaurants and shops. Bike trails nearby. Kitchen well stocked. Little Dipper was a perfect house for my friends and I. It was clean and spacious. We loved the location and the house was so comfortable and bright. We walked into town most days and enjoyed being close to bike paths and a short ride to the beach. My husband and I loved our recent stay at Little Dipper Cottage. The location is perfect--close enough to walk to town, but far enough away for peace and quiet. The cottage is fully equipped with anything and everything that you might need for your stay on Nantucket; we were blown away by the attention and style of every detail. The cottage was immaculately clean and everything was in great shape. Honestly, we really didn't want to leave. We had an extra bonus in that every evening about sunset, a deer and her fawn would come up to the front lawn to graze. We were only two, but the cottage easily sleeps 8-10. I highly recommend this cottage to anyone. We'd stayed many times on Nantucket, but never in such style as this. Thanks Gail for a wonderful trip! We had a wonderful stay in Nantucket. This home is quiet, clean and just a short walk from the center of town. Best of both worlds: 1.25 acre property located within walking distance to downtown restaurants/sights/shops, the beach and the Westmoor Club. Town convenience without the noise, traffic, and parking problems often associated with cottages located in town. 0.5 miles to downtown, 0.8 miles to the beach.